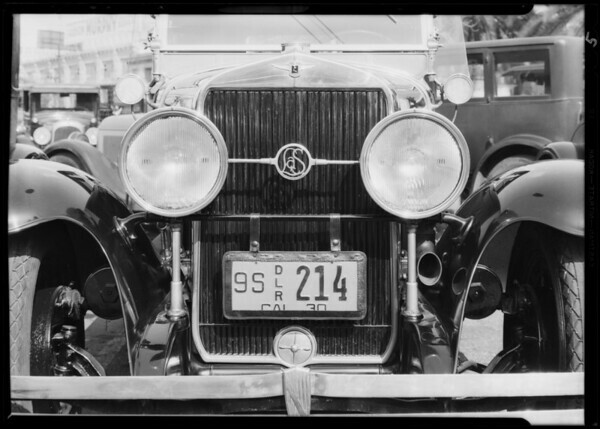 4 photographs of Ford touring car top, La Salle & leather containers for license, order etc., National Auto Top, Southern California, 1930. "Subject: Ford touring car top, La Salle & leather containers for license, order etc. 19304805DW1930030848DW193003084805AutomobilesNational Auto TopDan Miner CompanyGreerRobbins CompanyDaveyScottWhittington Wayne C.